NOTE: This interview contains no spoilers. Q: How did the story come together? DWU: It had been rattling around with me for about a year. I had nearly started it under a somewhat different premise, then sat it back on the proverbial shelf until the timing felt right to begin it again. Once the story was going, it came together rather quickly. Q: It must be exciting for you to have a publisher accept it. DWU: Yes, that part is certainly rewarding. Confirmation I know what I’m doing, at least in the eyes of some, if you will. That said, I still enjoy the idea of being an independent author as well and having full control of what I publish. You give up some of that control in the hopes of a publisher helping you to reach a broader audience. We’ll see if that works out. As always, the readers ultimately have the final say. Q: You indicated in the past about having a conflict with a previous potential publisher over the content of your work. Anything similar this time around with Kindle Press? DWU: No, nothing so direct as before where the publisher was attempting to tell me what to write and not to write. The Kindle Press editor offered some very good suggestions which helped tighten the story a bit. They wanted a “lean and mean” version without filler. Some other suggestions I left on the table not wanting to compromise my vision of the novel’s essence. The prologue had the editor a bit nervous given it made her somewhat uncomfortable reading it, but I want that discomfort as it sets the tone for the character of Decklan Stone as the story progresses from there, and I hope plants an understandable seed of uncertainty toward him in the reader’s mind. It connects Decklan’s emotional beginning to where he is at by the story’s conclusion. The novel has both a light and dark side to it – much like most of us. There is great human tragedy, challenge, determination, but also joy. Readers might well find themselves shedding tears of sadness and happiness simultaneously. I continue to believe that each of us has the potential to be stronger/greater than the sum of our parts, and THE WRITER is very much an exploration of that belief. Despite my sometimes darker nature, I remain an optimist, and most of my novels are a reflection of that, and THE WRITER is no exception. Q: Why did you choose the San Juan Islands as the story’s location? DWU: For those who know the islands, that becomes somewhat self-explanatory. For those who don’t, I hope to bring something of the islands to life within the story. The location is itself another character, and a direct influence on nearly every other character in the novel. Q: Would you consider THE WRITER to be your best work to date? DWU: It’s a good story, a mystery, a thriller, and one I think most readers will feel delivers a satisfying conclusion. I am confident in saying so. The publisher was pleased by it, and hopeful it will find an audience. I have trouble allocating the status of “best” to any one of my works. They’re all a part of me to some degree, though I’ll always have a soft spot for MAC WALKER , and the IRISH COWBOY remains the story with the greatest personal investment. I’m excited to see where Adele Plank takes me. There will be a sequel to THE WRITER later this year. I can easily see the series going forward via several more installments. 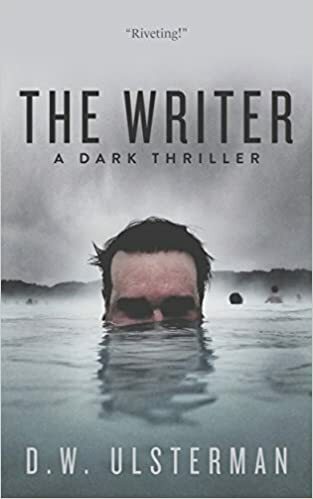 THE WRITER can be pre-ordered now and is scheduled for full release on June 7th. A paperback version is soon to follow.